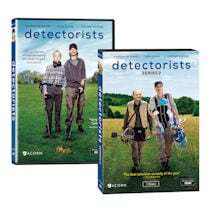 Members of the Danebury Metal Detectors Club, bickering friends Andy and Lance spend their days searching the Essex countryside, dreaming of finding a fortune. Is each new beep a treasure or just another tin can? 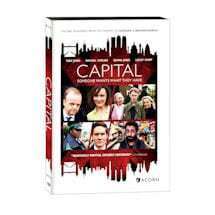 The top-rated comedy on Britain's BBC4, this gentle series stars Mackenzie Crook (Pirates of the Caribbean, Game of Thrones) and Toby Jones (The Hunger Games, Captain America). "Beautifully acted and written"--Times (UK). "TV gold"--Guardian (UK). 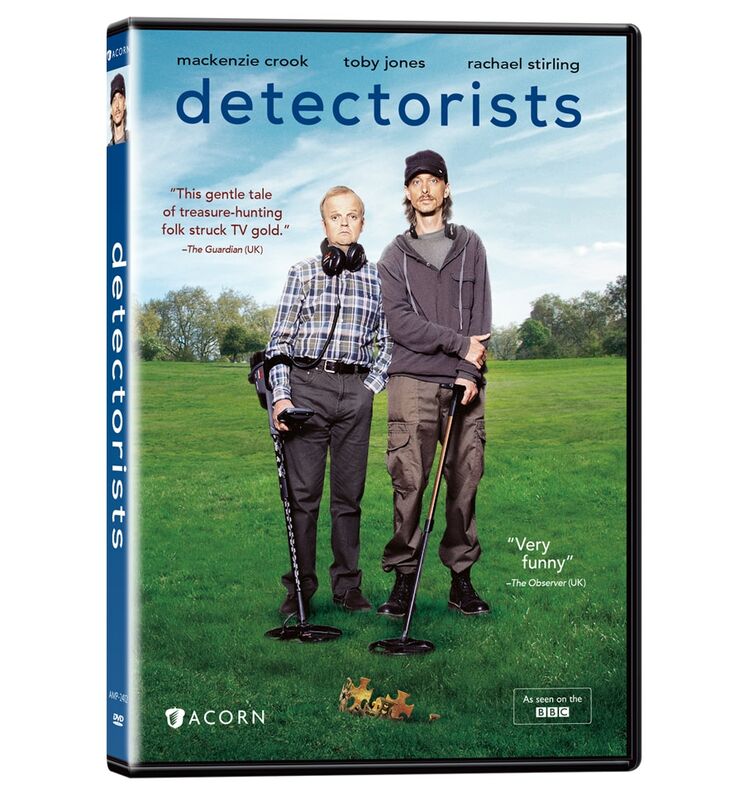 The Detectorists DVD includes 6 episodes, 3 hrs, 2 DVDs, SDH. 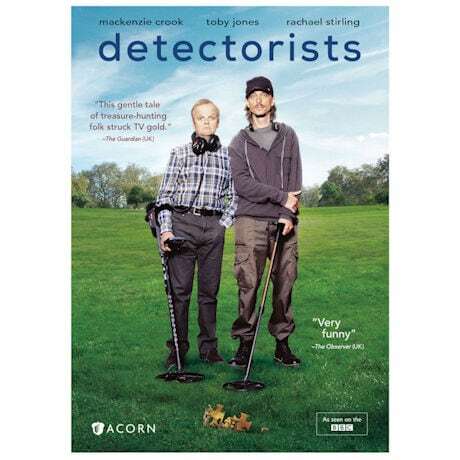 Metal detectorists Andy and Lance's search for a priceless Saxon hoard buried in the English countryside takes them down a bizarre, but promising, path. Tension builds between Andy and Becky as she questions the amount of time he's investing in his quest. 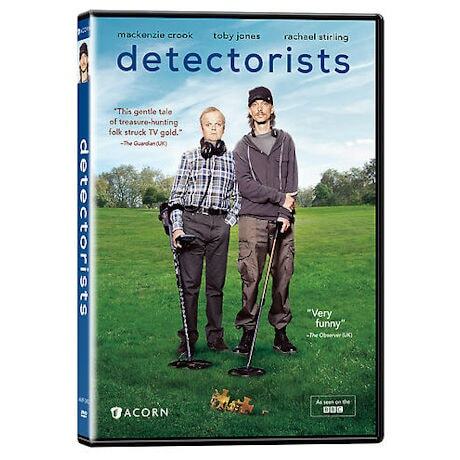 When the Antiquisearchers, a pair of rival detectorists, appear on farmer Bishop's property, Andy and Lance must find a way to shut them out. Sophie does some digging at the university library and emerges with a controversial theory about the hoard's whereabouts. 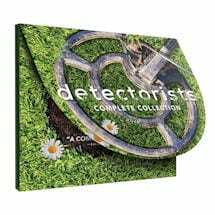 With the Antiquisearchers hot on Andy and Lance's trail, the duo turn to ex-cop Terry for backup, with disastrous results. Similarly catastrophic is their open-mic performance at the White Horse pub. With the Danebury Metal Detecting Club in need of a new president, Andy steps up to the challenge. But his blossoming relationship with Sophie rubs both Lance and Becky the wrong way and turns a routine trivia night toxic. Andy and Lance's spirits are at an all-time low when they're betrayed by Sophie. To make matters worse, Becky and Andy's relationship is quickly deteriorating. Will Andy be able to repair all the damage he's done? 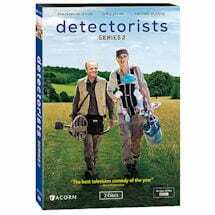 Many pressing questions confront the Danebury detectorists: Will farmer Bishop be charged with murder? Will Lance stand up to his scheming ex-wife? And will Andy sacrifice the thing he loves most to keep Becky? 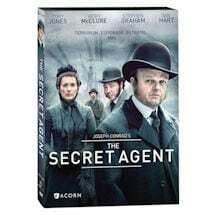 Mackenzie Cook, Toby Jones, Rachael Stirling.